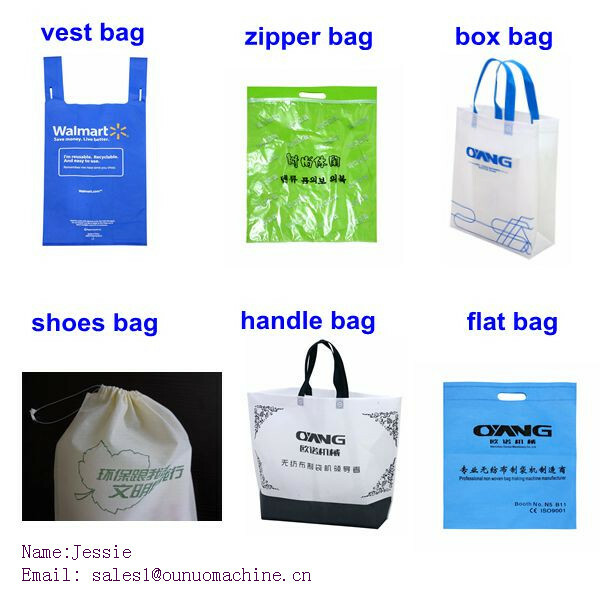 This non woven bag making machine is special design for non woven bag making, it can produce different kinds of non woven bag,such as non woven box type bag, vest bag, D-cut type bag, rope wearing type bag,non woven zipper bag,etc indifferent specifications and shapes. 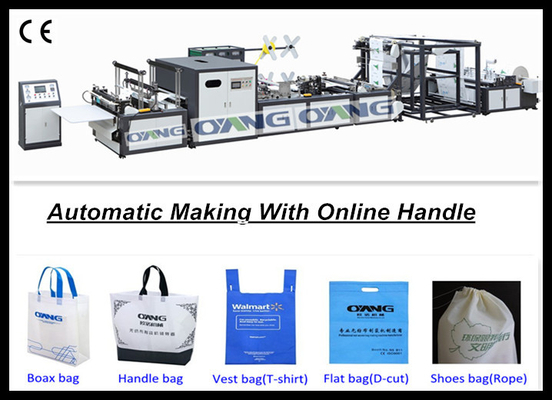 It combine the latest mechanical and electrical together as a whole, use ultrasonic sealing type and operation by touch screen,this machine equip auto punching device, automatic counting, setting counting alarm available either, it is an ideal equipment of non woven bag production. 1. 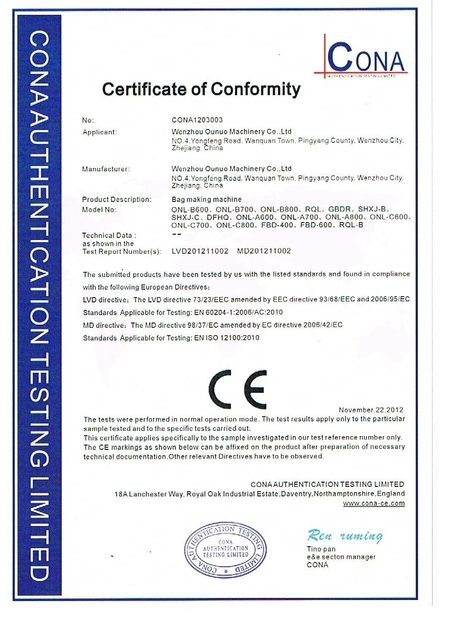 We can control the ultrasonic device quality.we make it by ourself. We adopt German design and Japan electrical components.Special re-design the ultrasonic device suitable for non woven bag making. 2. Taiwan Touch Screen,Automatic computer control, automatic feeding, automatic counting, automatic stopping. 5. Equipped with double stepper motor feeding. 8.Equipped auto loading device.easy operation. 8. 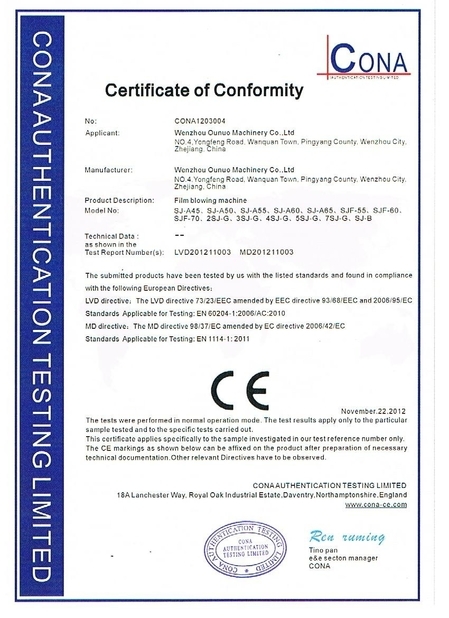 Machine has got CE Certification, we also get ISO9001:2008 certification. One set computer with touch-screen system. Six sets of ultrasonic system. Two sets of step motors. 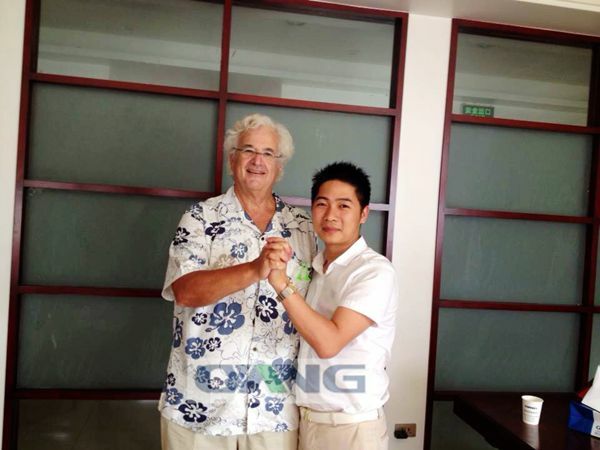 1.Have several senior engineers service in many countries, all the year round, with our after-sales office in countries. 2.Machines with quality guarantee for one year, life-long maintenance. 4.Several senior engineers innovate and reform the technology continuous, in order to ensure the quality of mechanical Stability. 5.Undertake various non-standard machinery, solve the customers' special requirements.